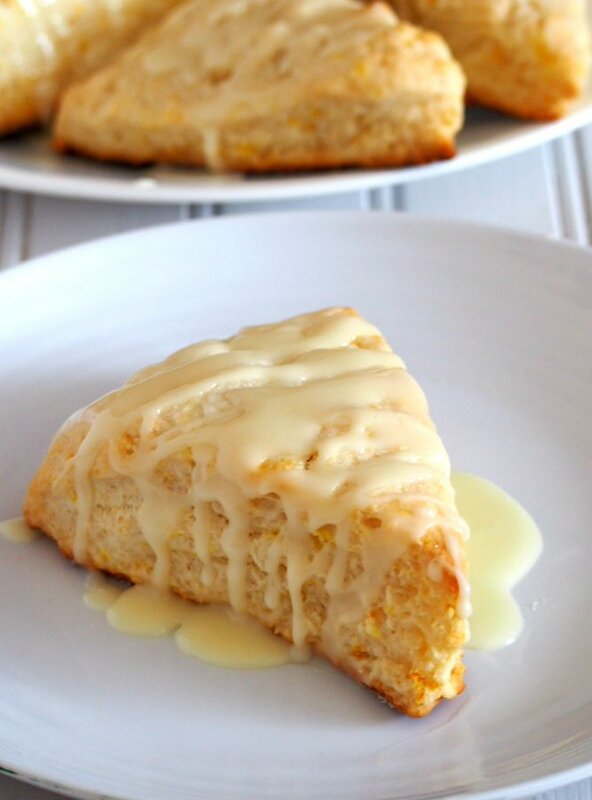 These melt in your mouth Honey Scones are even more delightful glazed with citrusy sweet calamansi glaze. 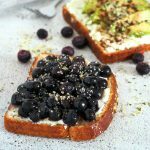 Have them for breakfast, snack or even as desserts, you can’t go wrong with these delicious treats any time of the day. I love little coffee dates when I and my husband sneak out every now and then to go to a Tim’s or Starbucks even for a short period of time. We don’t really go out very often without the kids, and if we do, our trips are short and with purpose (groceries, errands). I believe parents with young kids can pretty much relate. When in coffee shops, I am always torn between croissants, donuts, and scones. It is a pretty tough decision and with the short amount of time allotted, I usually pick one while my heart still yearns for another one. That is why one day, I decided to make scones at home. 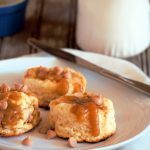 I started out with these Salted Caramel Scones. Big hit baby, especially with the kids. 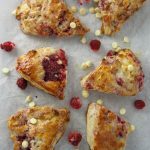 And in search for another scones recipe, I came across this one from an endearing writer and passionate cook from one of my favorite blogs. 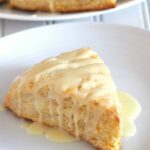 These honey scones are tender, melt in your mouth goodies that are glazed with a refreshing and sweet calamansi glaze. 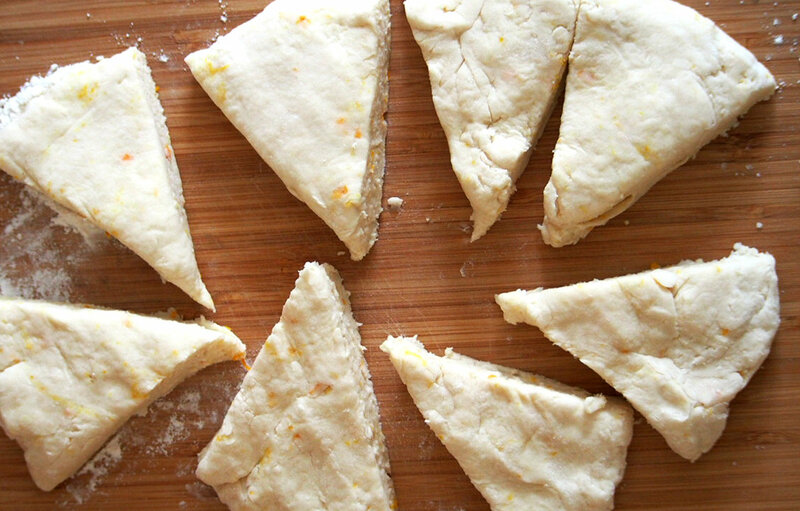 Making these scones is a simple, put-everything-together kind of baking. Dry ingredients first, then add the wet ingredients. It is like making any pastry but less complicated. The resulting dough is a sticky one. 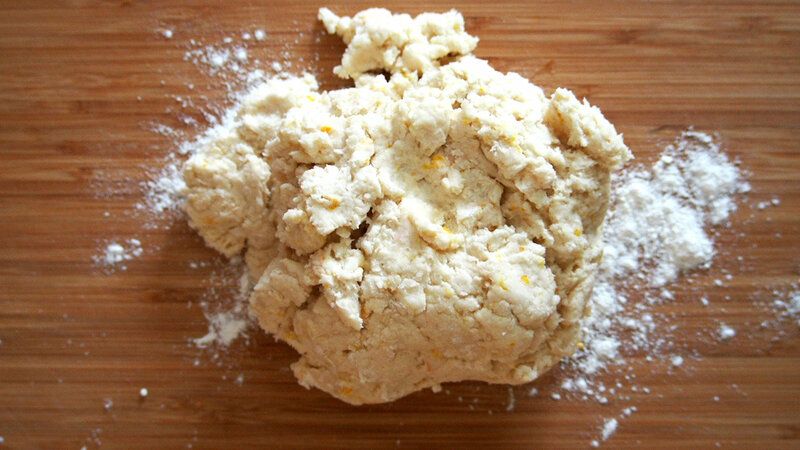 You are going to knead this briefly, just to make the dough come together completely. Shape dough into an 8-inch circle, brush with melted butter and sprinkle with sugar. Then cut them into 8 wedges, like cutting a pizza. 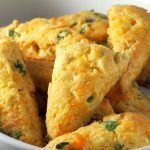 Arrange them one inch apart on a baking sheet lined with parchment paper, and bake at 400 F for 15- 20 minutes. 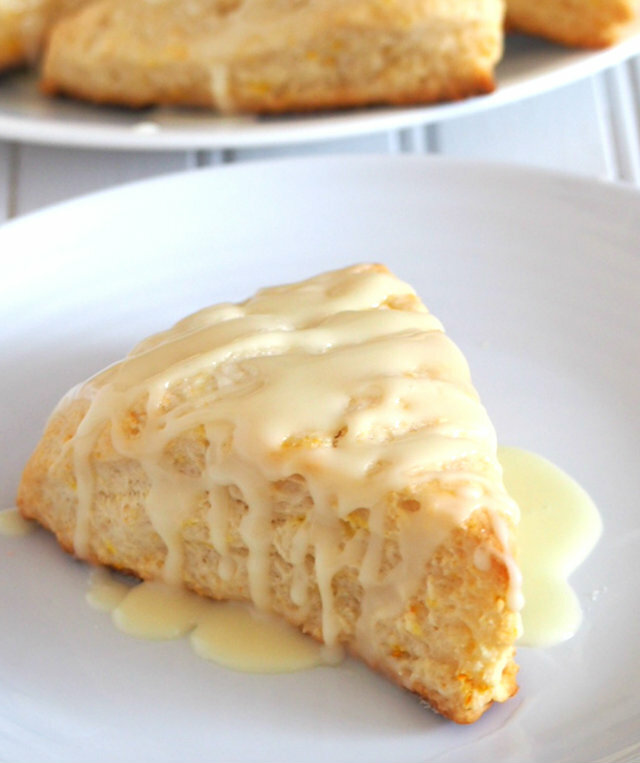 The calamansi glaze drizzled over the warm scones is the highlight of everything. Calamansi is a kind of citrus fruit, like a cross between a lime and a lemon. It has this fresh, sweet-sour flavor without any bitter aftertaste. 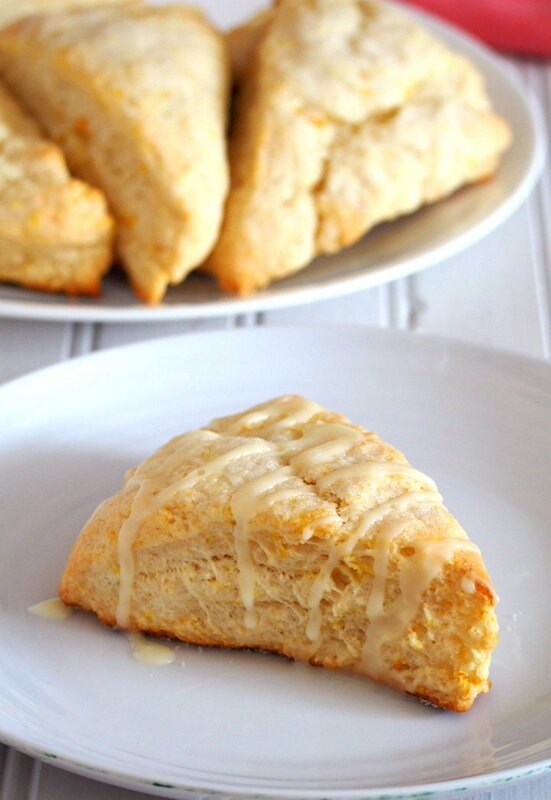 So now I am going to pour myself hot tea, pull out a chair and delight in these scones, coffee shop style. 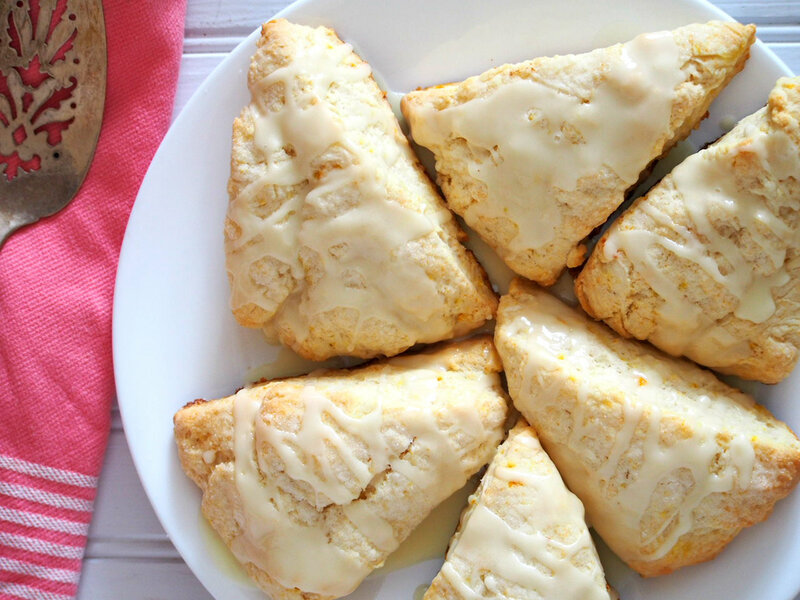 Honey Scones glazed with calamansi icing is the perfect match for your morning coffee or tea. Preheat the oven to 400 degrees F. In a large bowl, combine flour, baking powder, and salt. Stir in honey, cream, and calamansi zest. Mix everything with a wooden spoon until the dough just starts to come together as a shaggy and sticky mass. Turn it out onto a floured surface. Knead it briefly just to bring the dough together. Add more flour sparingly if the dough is too sticky. Shape it into an 8-inch circle. Brush with melted butter and sprinkle with sugar. Cut the circle into 8 wedges and place the wedges 1 inch apart on a baking sheet lined with parchment paper. Bake for 15 to 20 minutes or until golden brown. Make the Calamansi Glaze: Add powdered sugar in a small bowl. Pour the calamansi juice and stir until the glaze is smooth. The glaze should be thick but still pourable. You can adjust the consistency by adding more sugar or calamansi juice.